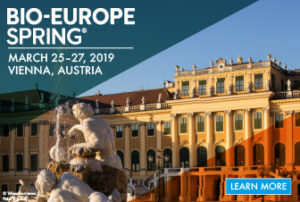 BIO-Europe Spring® is the springtime counterpart to EBD Group’s flagship conference, BIO-Europe®, and continues the tradition of providing life science companies with high caliber partnering opportunities. Featuring EBD Group’s sophisticated, web-based partnering system, partneringONE®, the event enables delegates to efficiently identify, meet and get partnerships started with companies across the life science value chain, from large biotech and pharma companies to financiers and innovative startups. MabDesign members benefit of 350 EUR discount when registering. Plus if you registered before January 21st you can accumulate the MabDesign discount code and the early bird rate. Ask for the code!